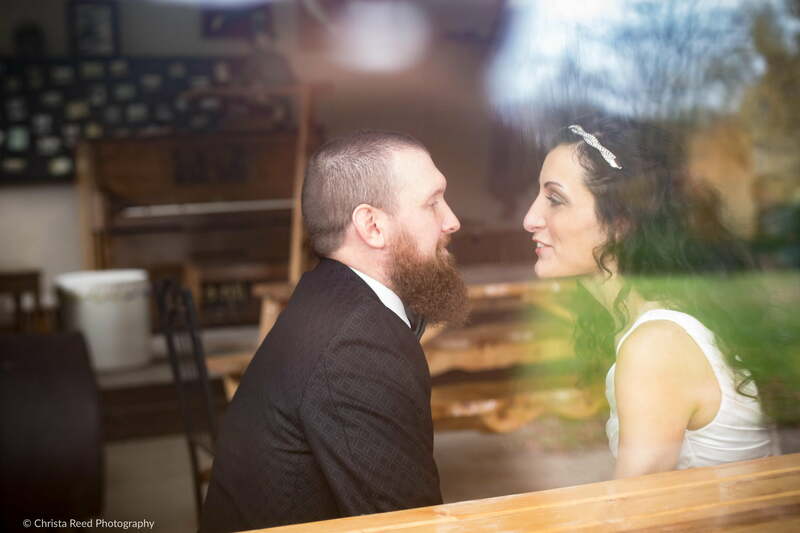 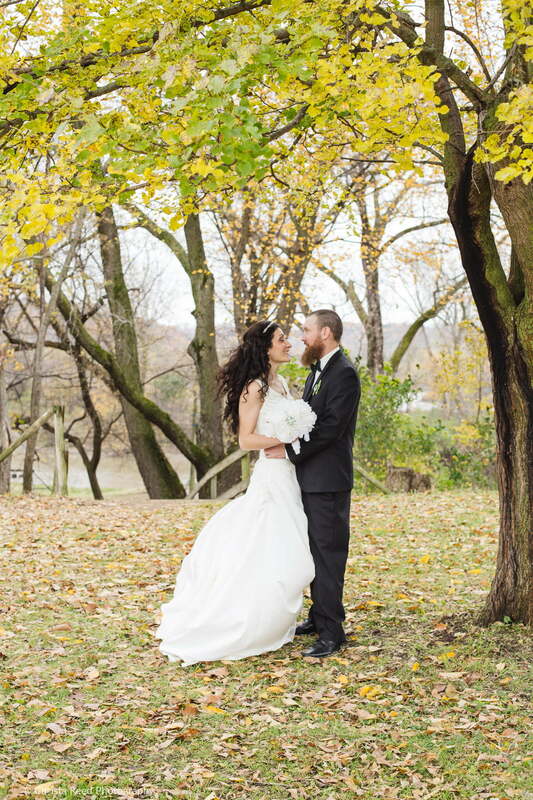 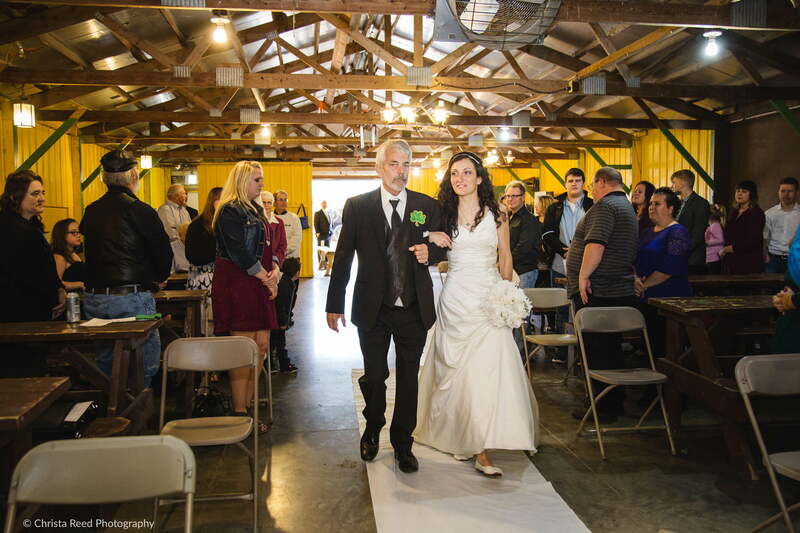 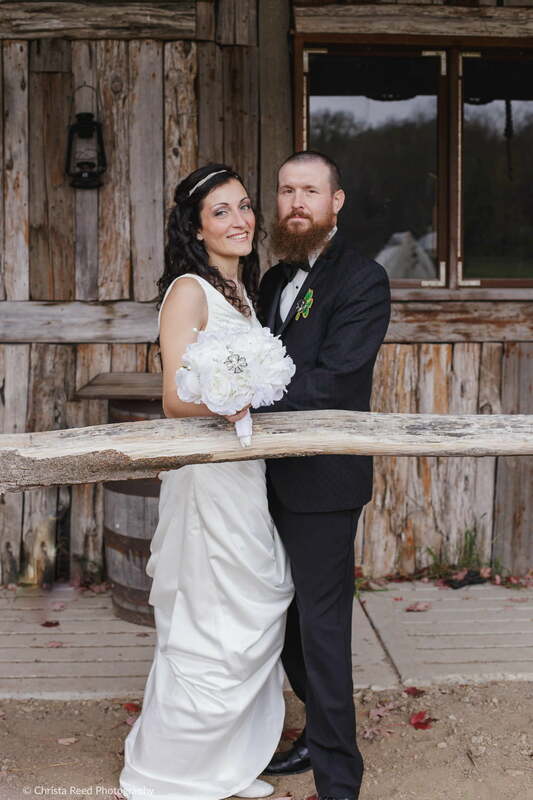 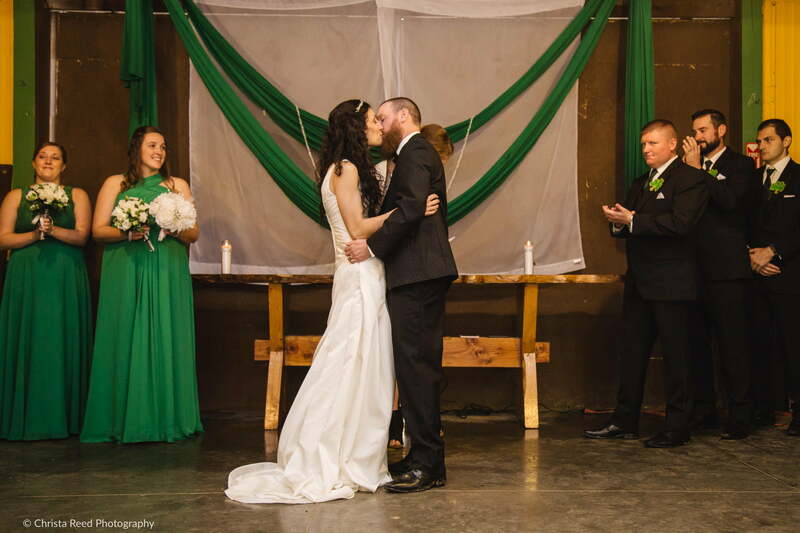 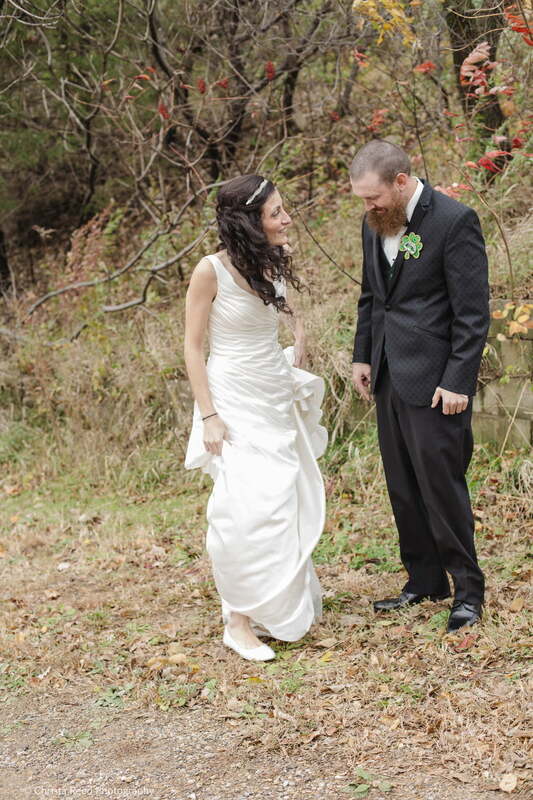 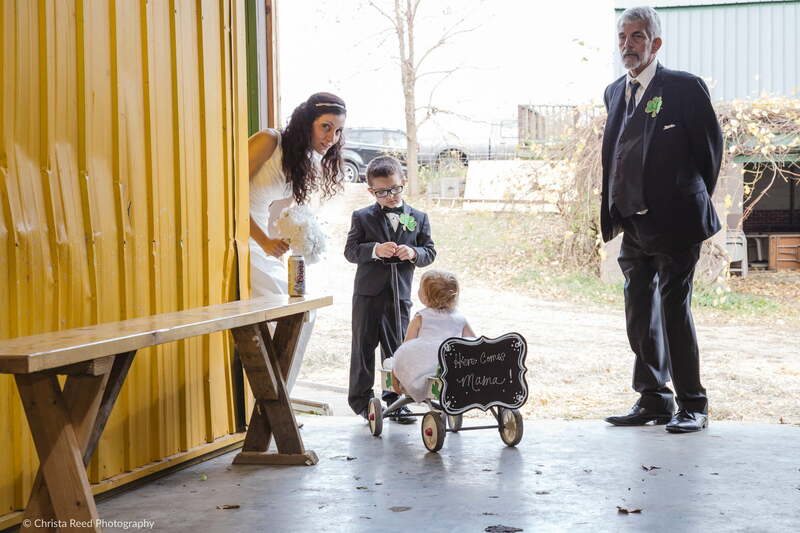 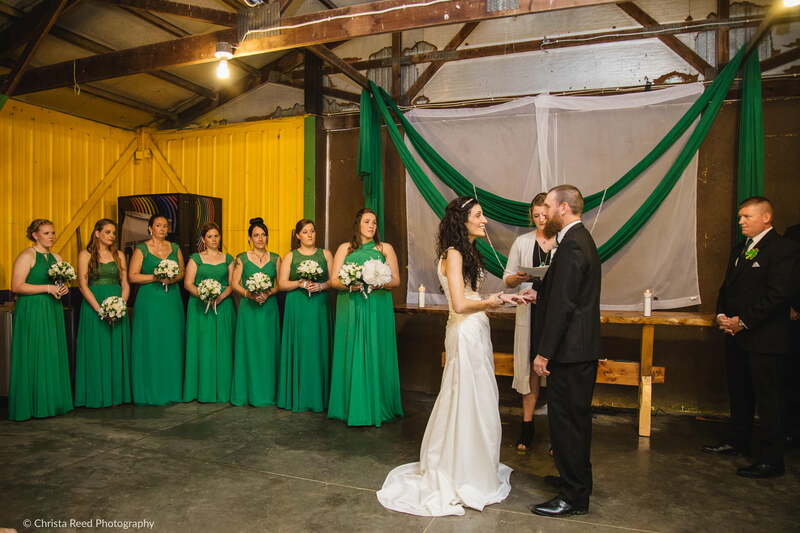 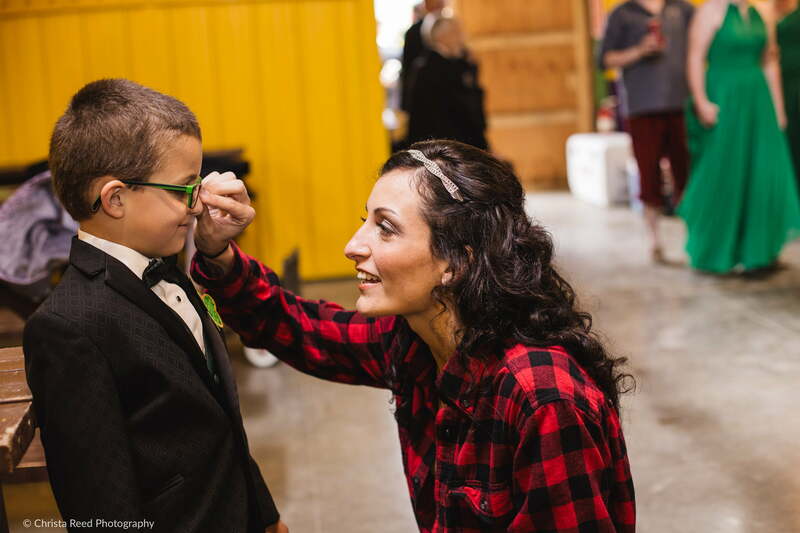 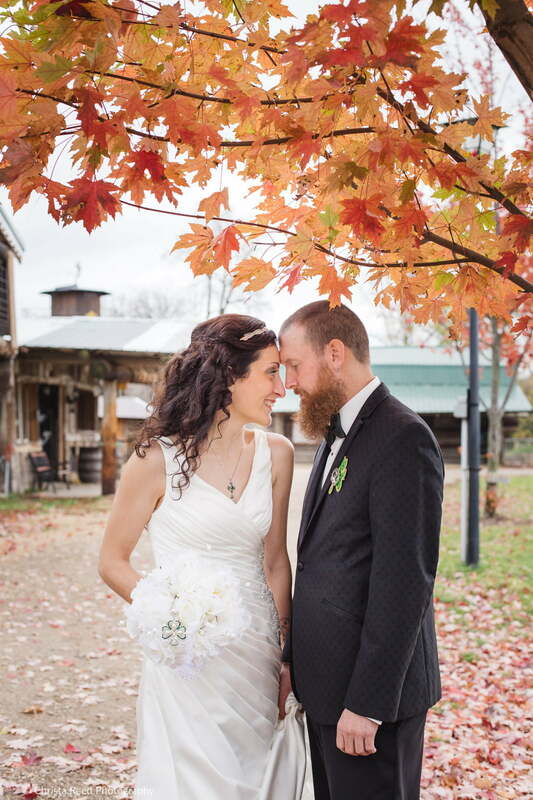 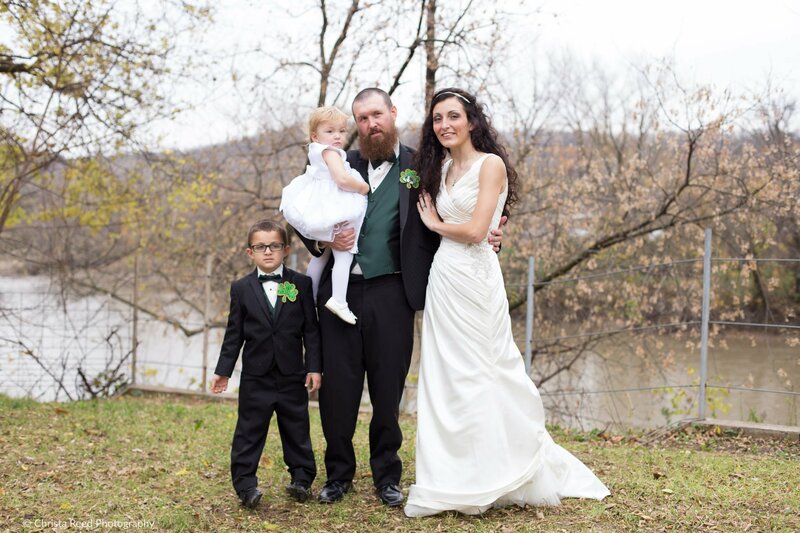 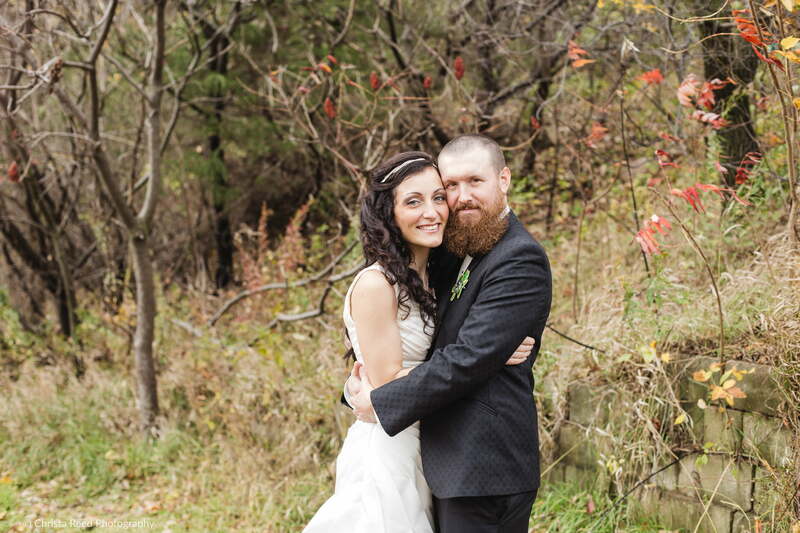 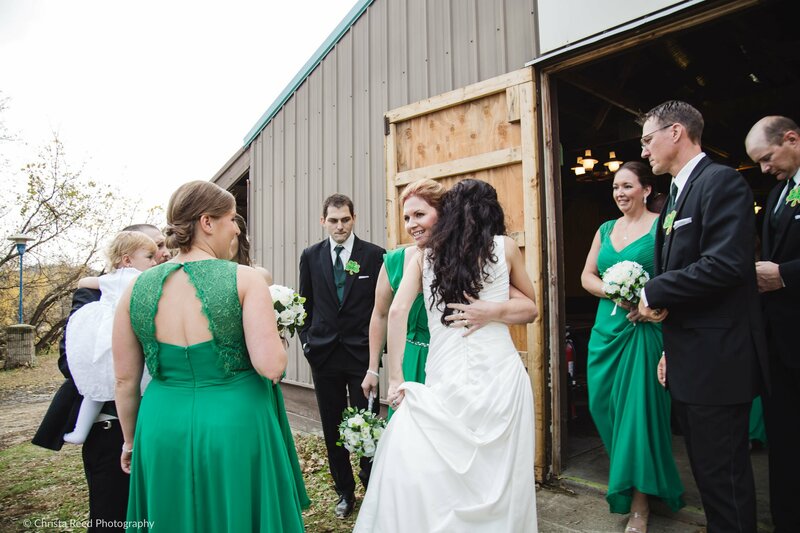 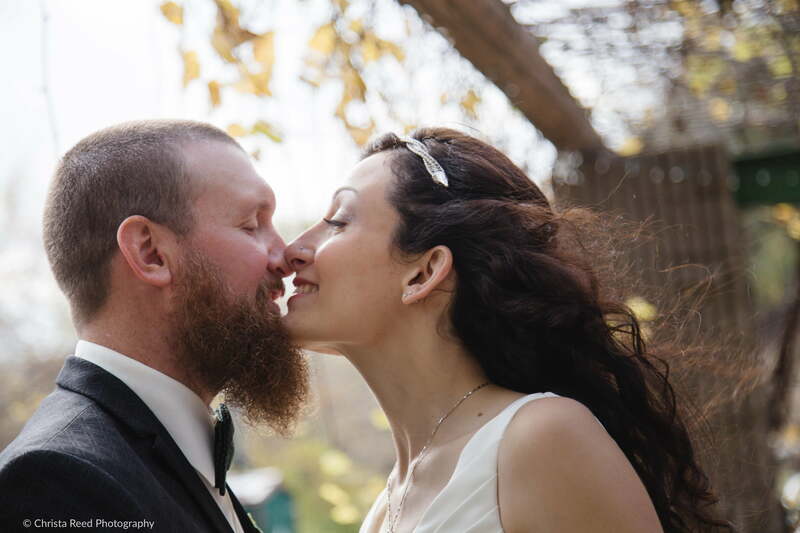 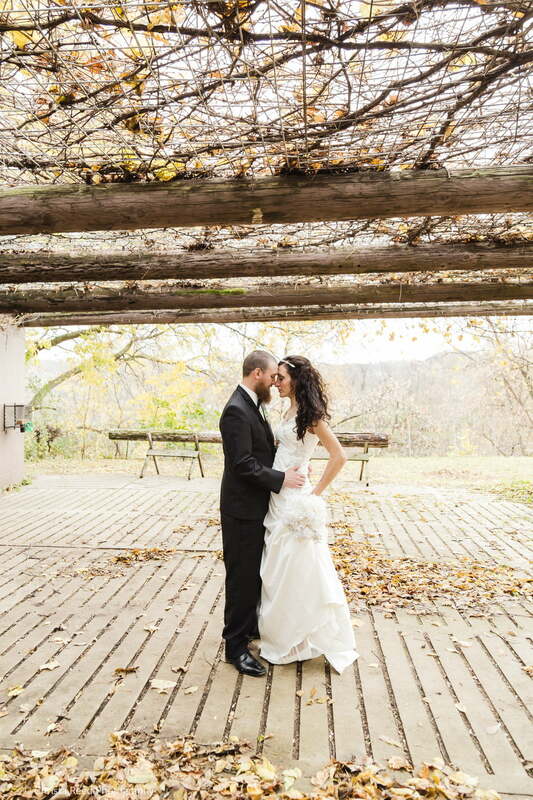 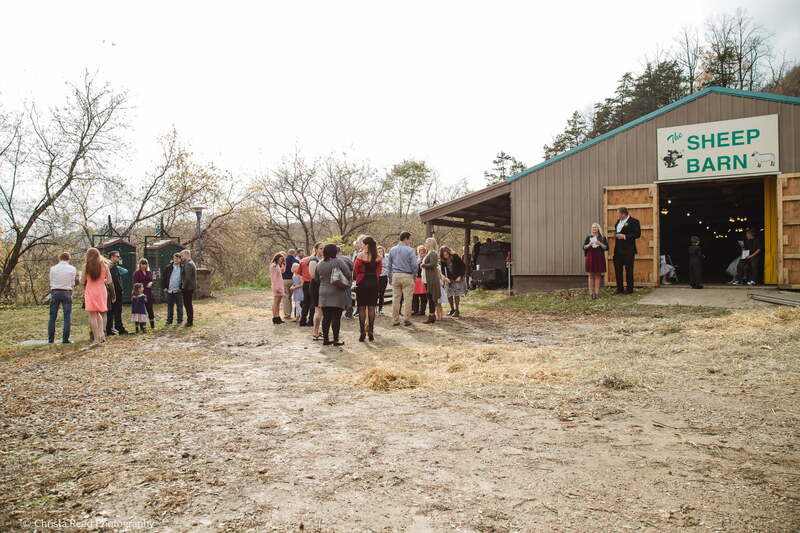 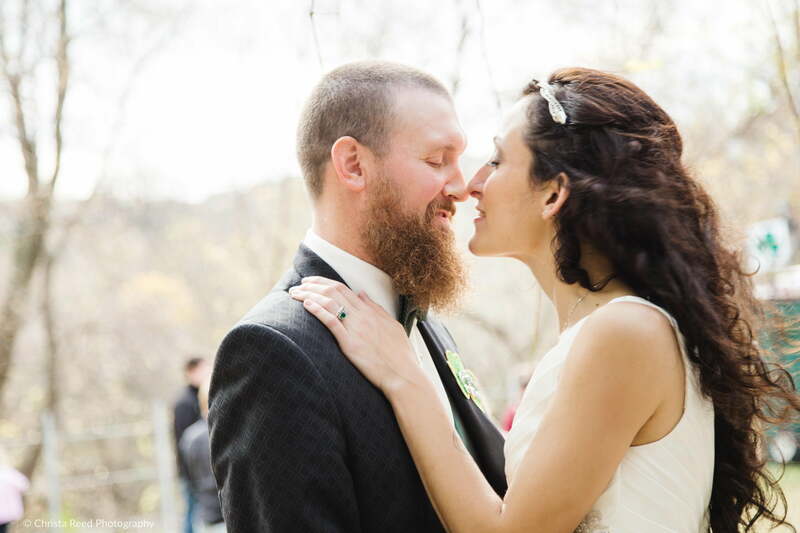 Robert and Katy had their intimate wedding ceremony at Jack McGowan’s Farm in October. 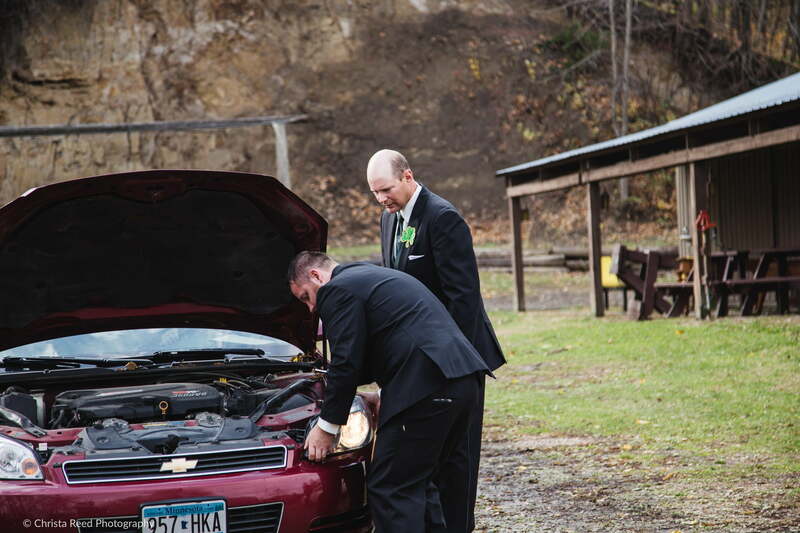 It’s just south of Mankato, nestled in between the Blue Earth River and Le Sueur River. 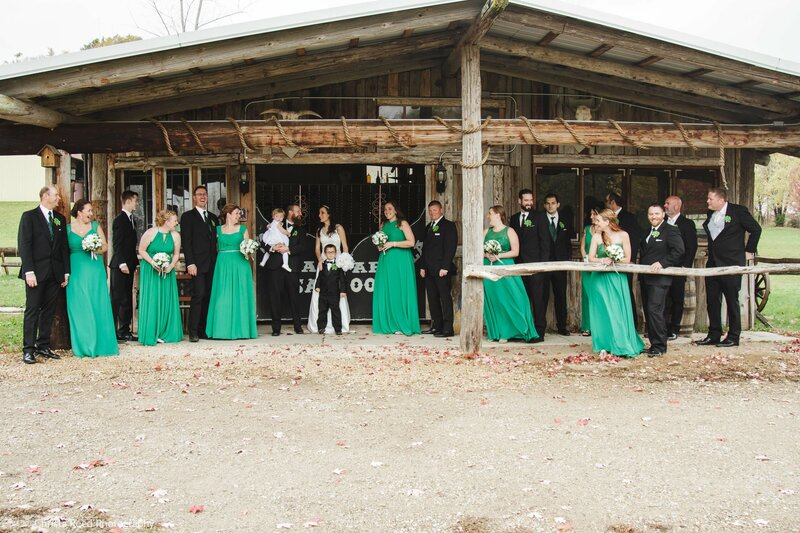 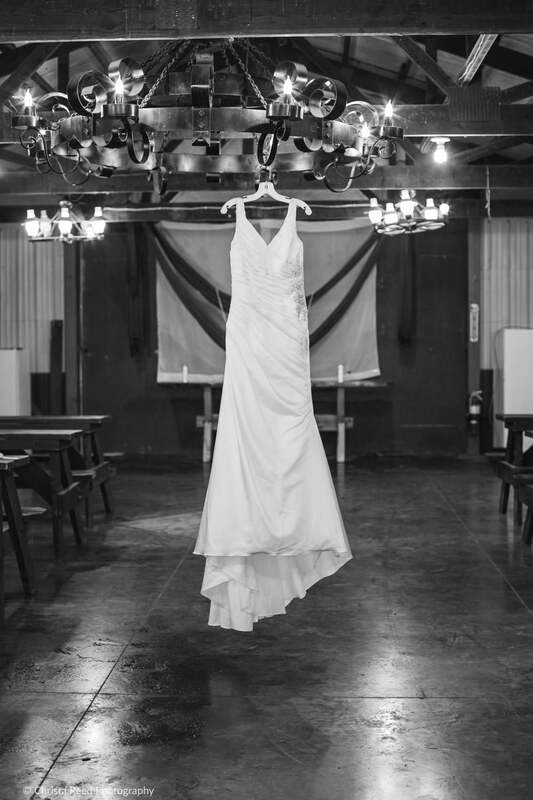 The farm is an amazing wedding location. 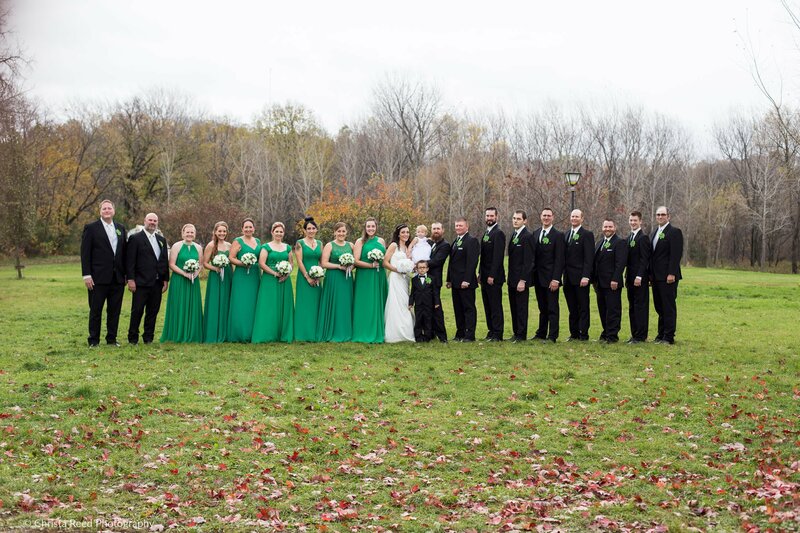 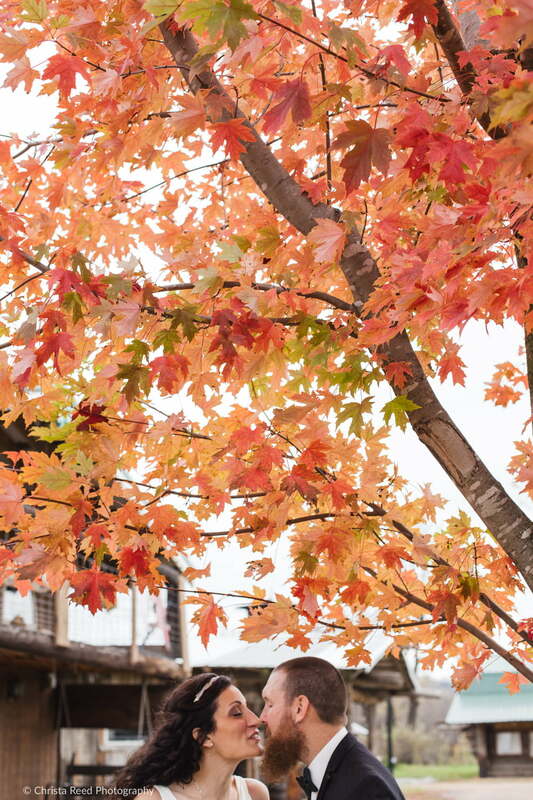 The leaves were at peak color, and their families had so much fun! 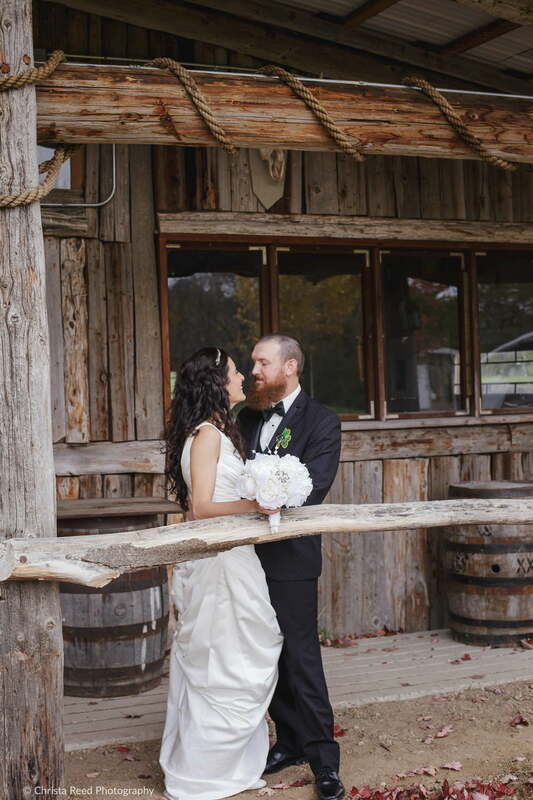 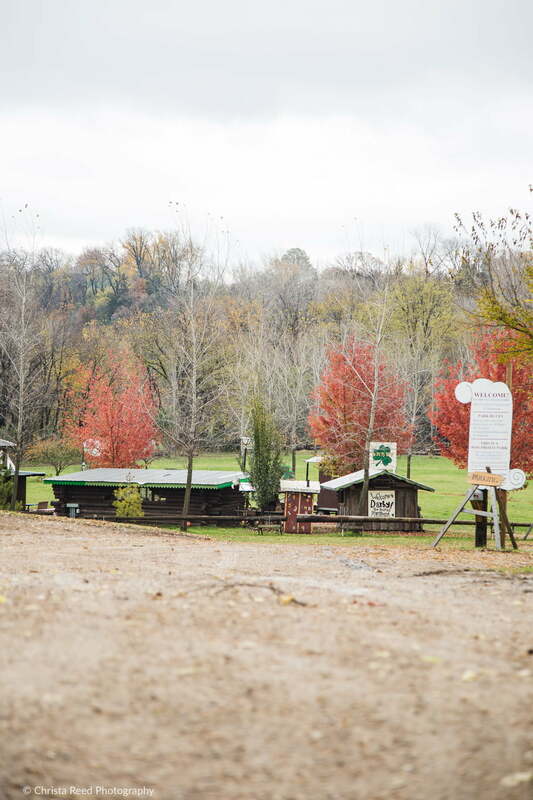 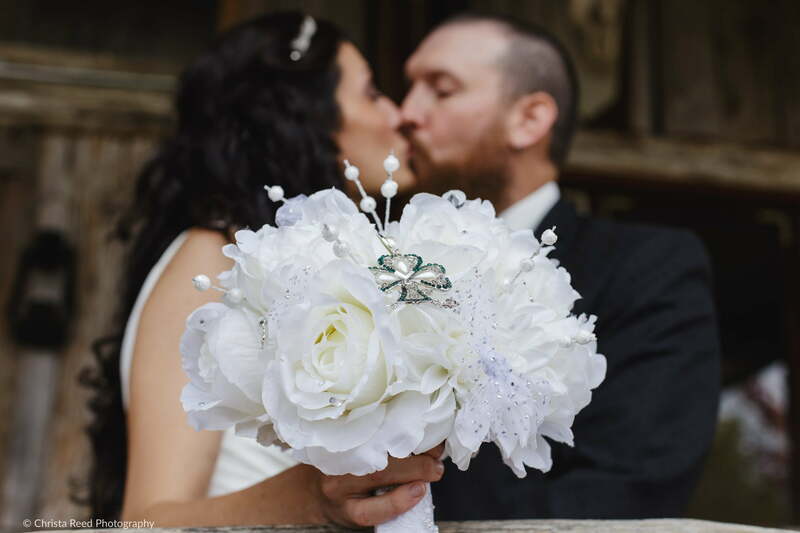 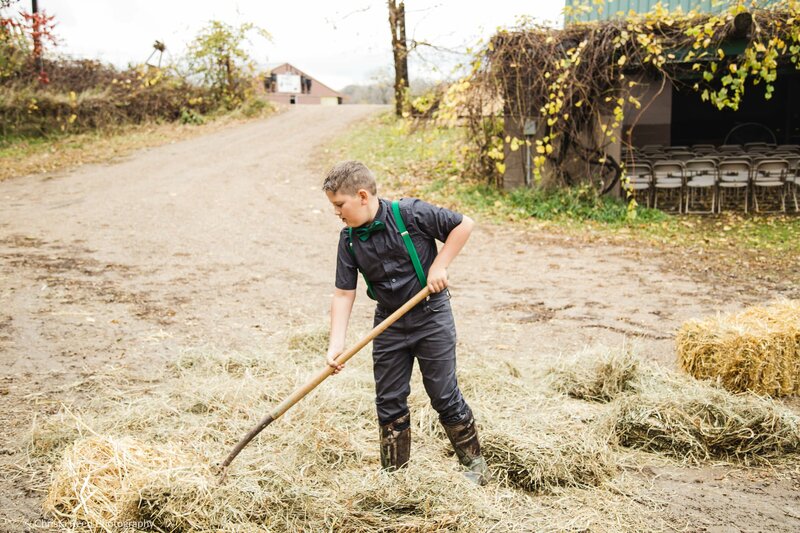 Besides being beautiful place, McGowan Farm is important to the couple because they work there and help keep it going. 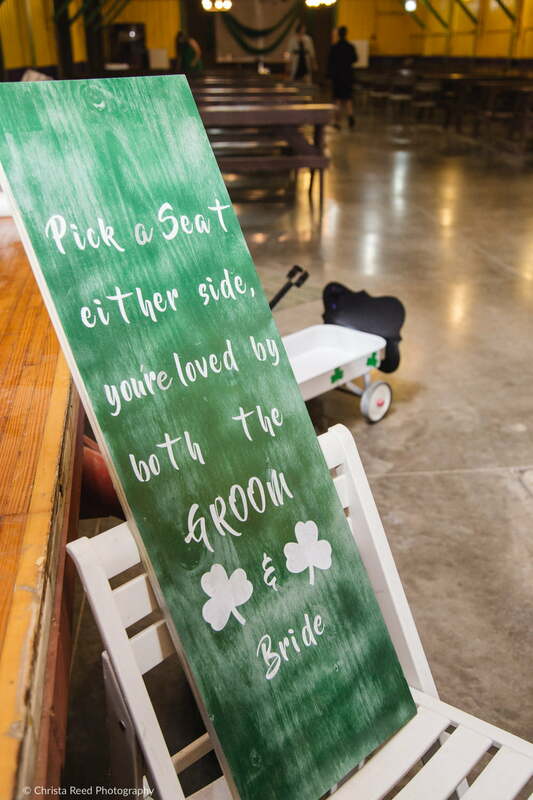 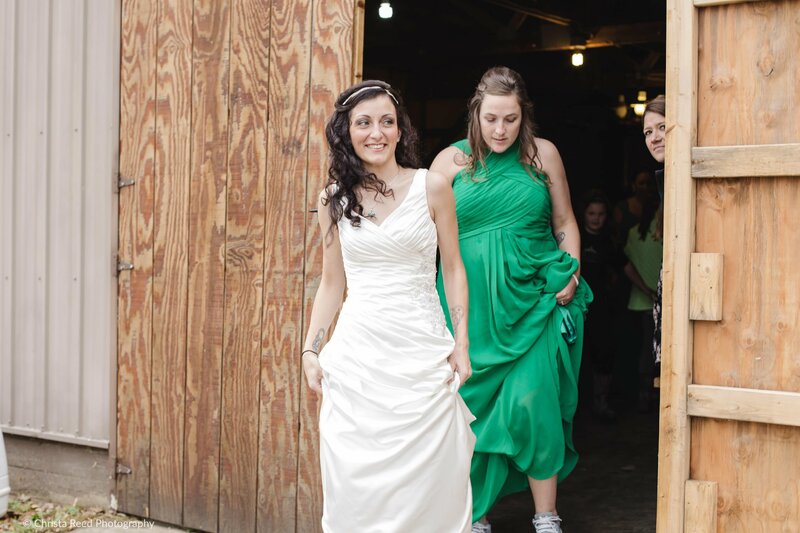 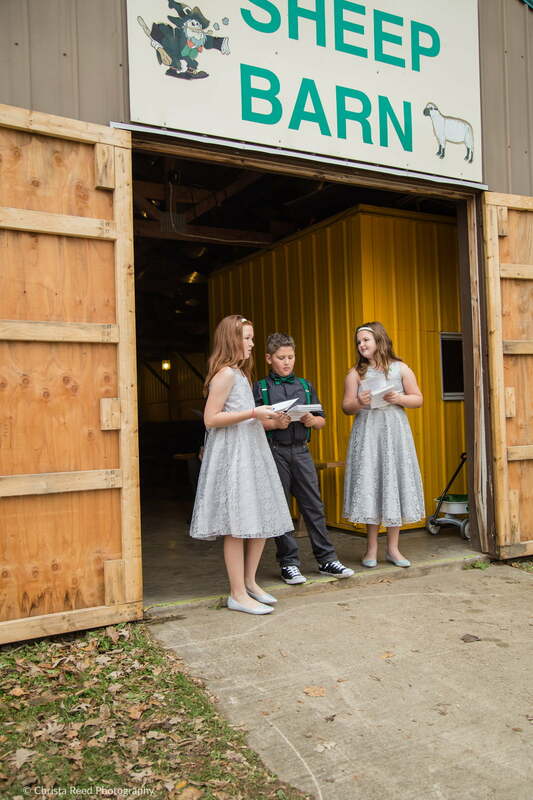 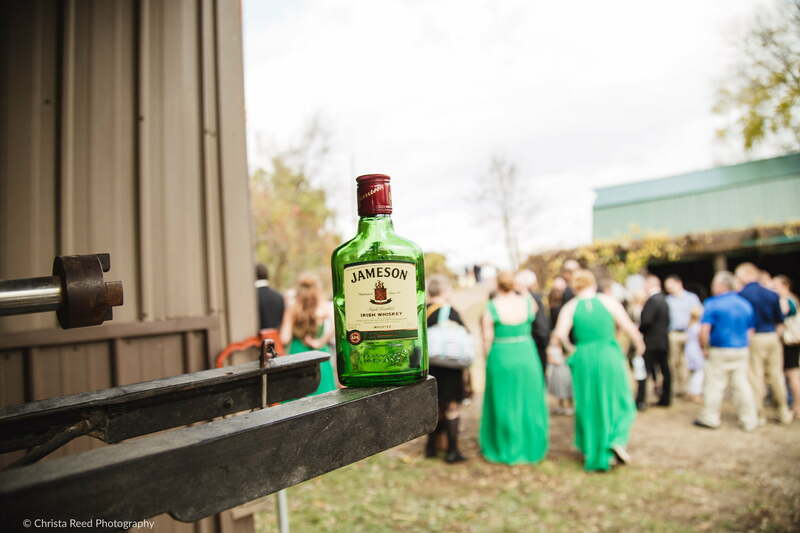 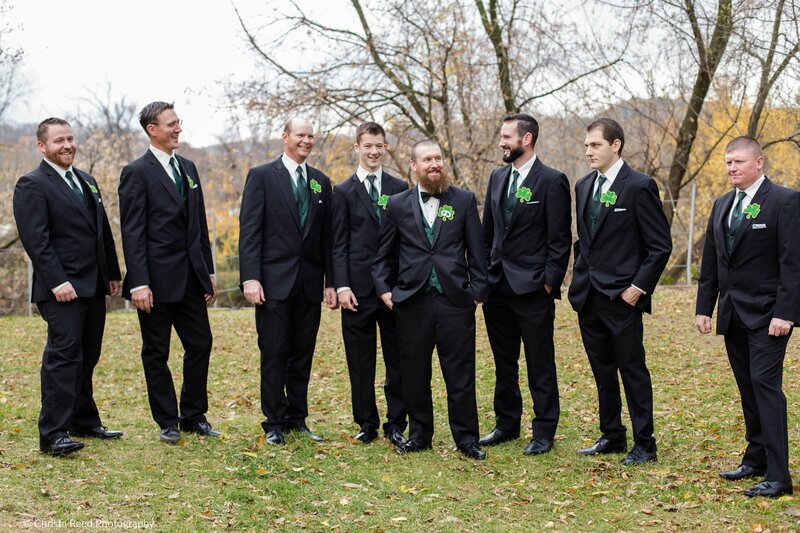 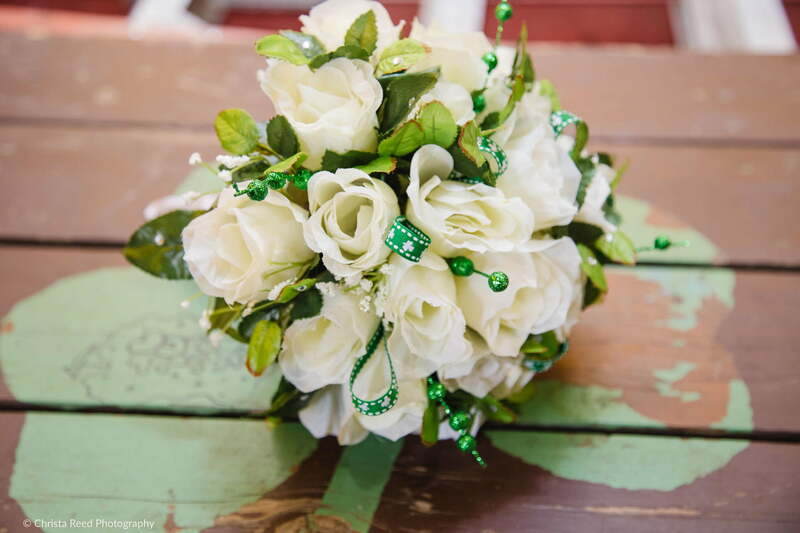 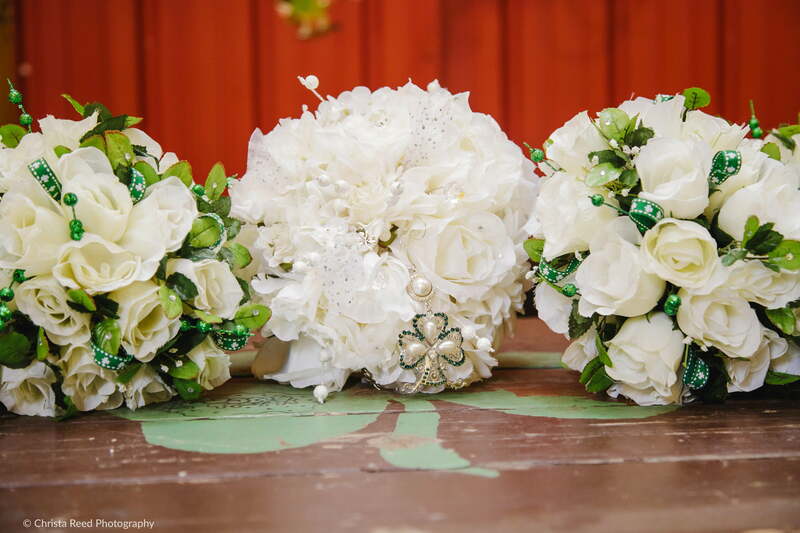 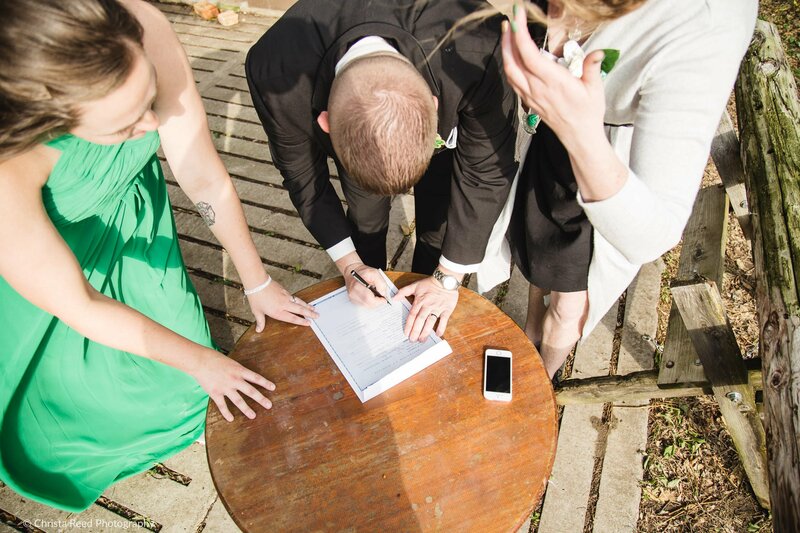 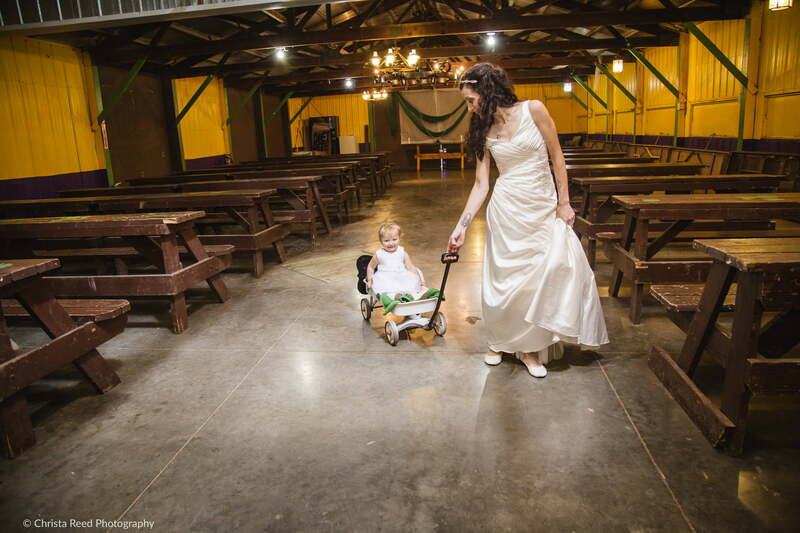 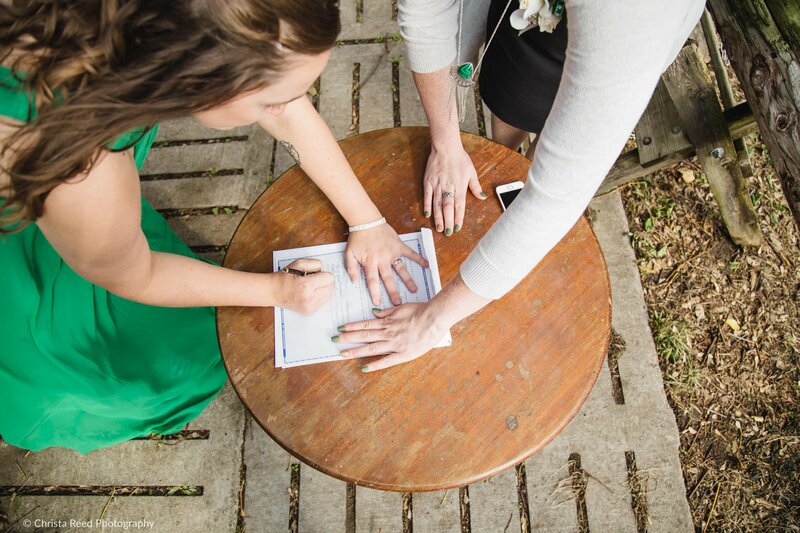 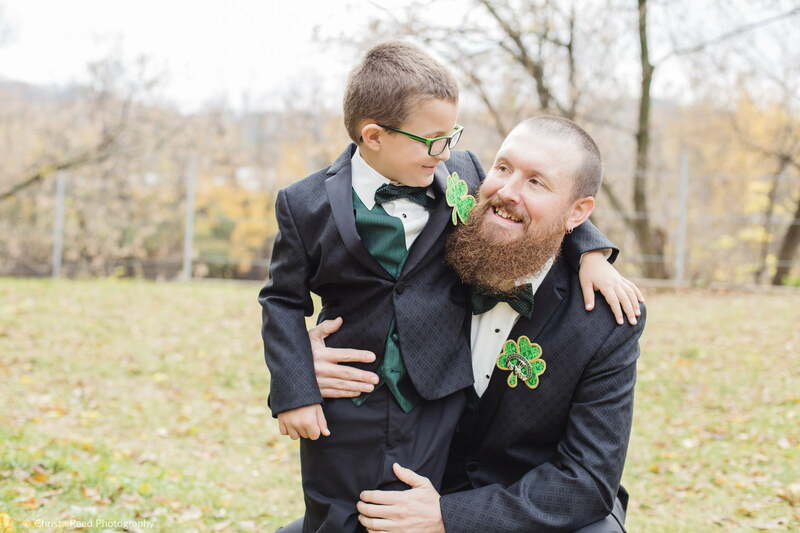 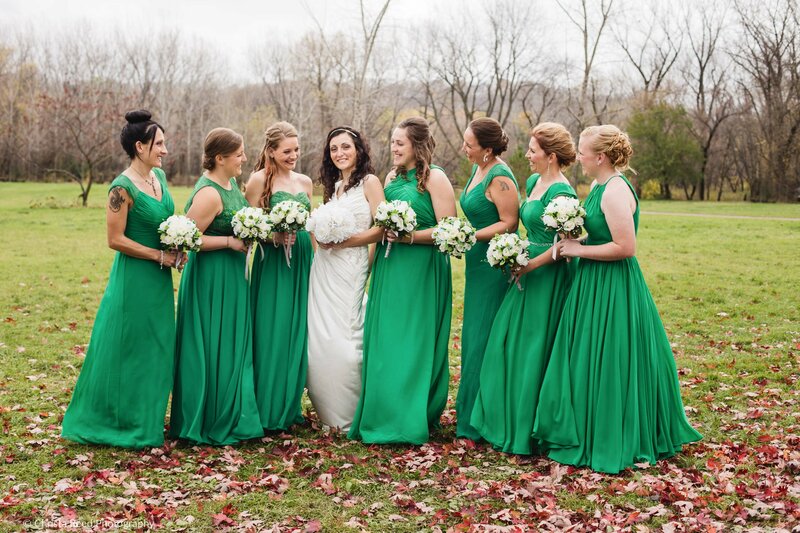 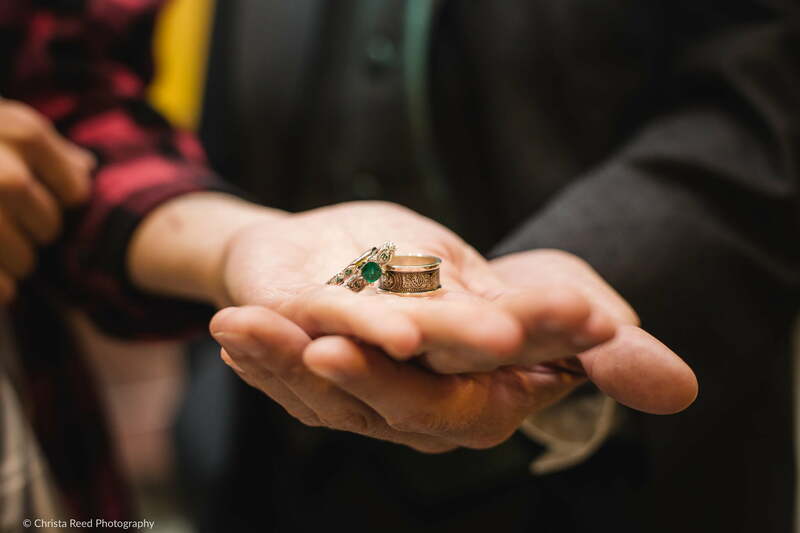 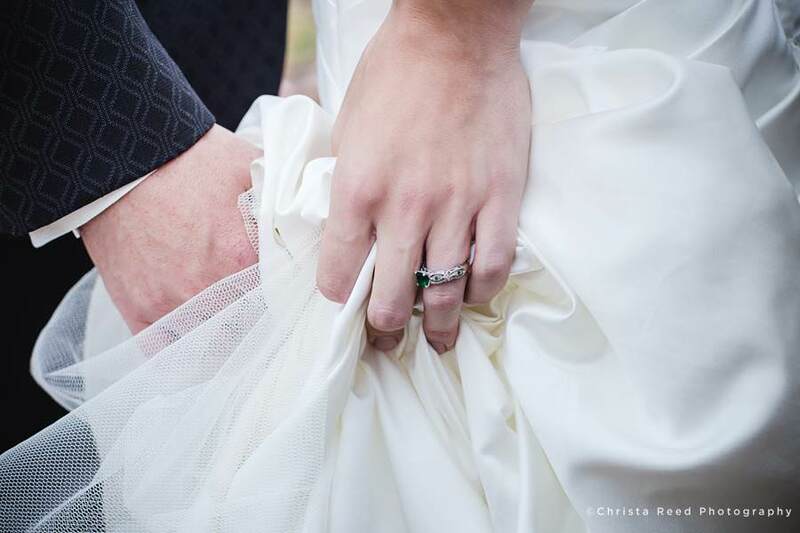 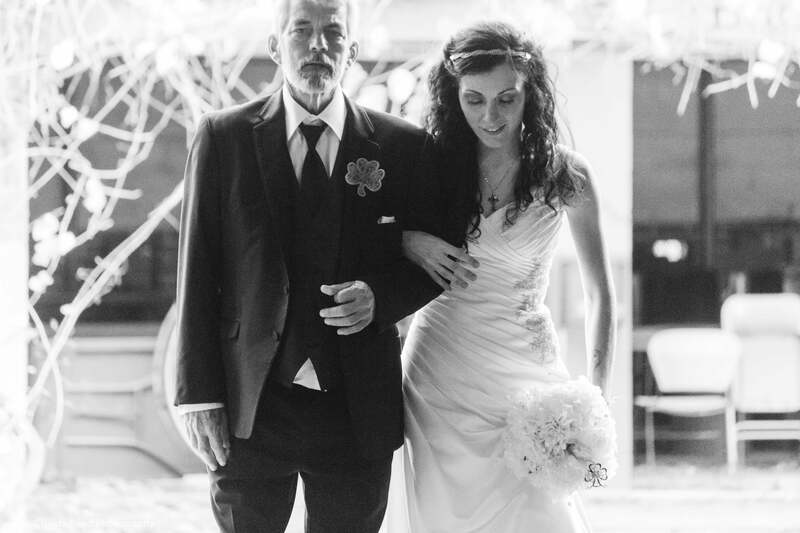 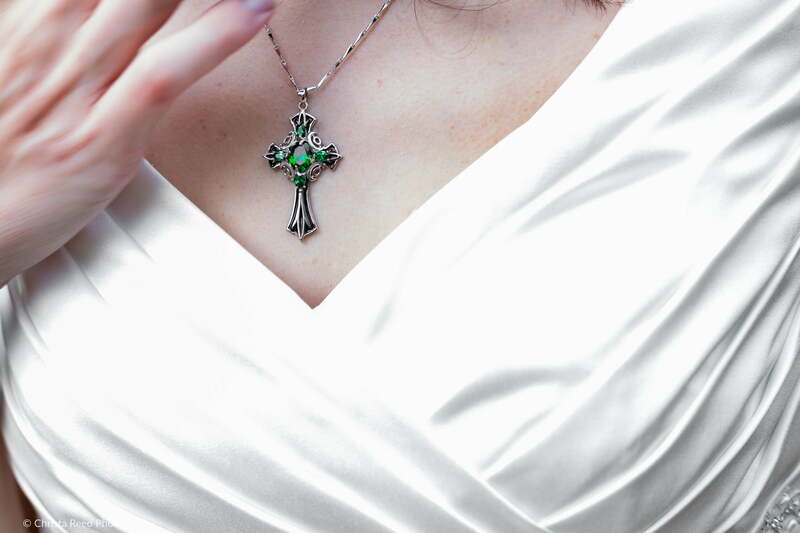 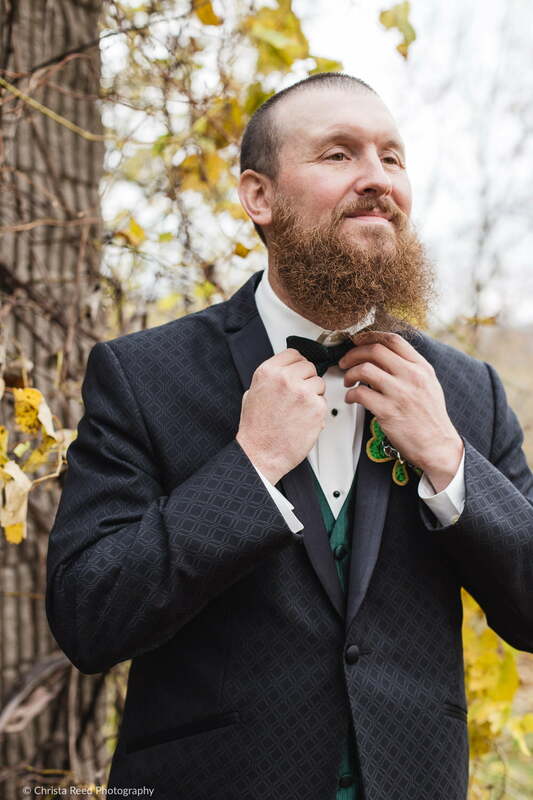 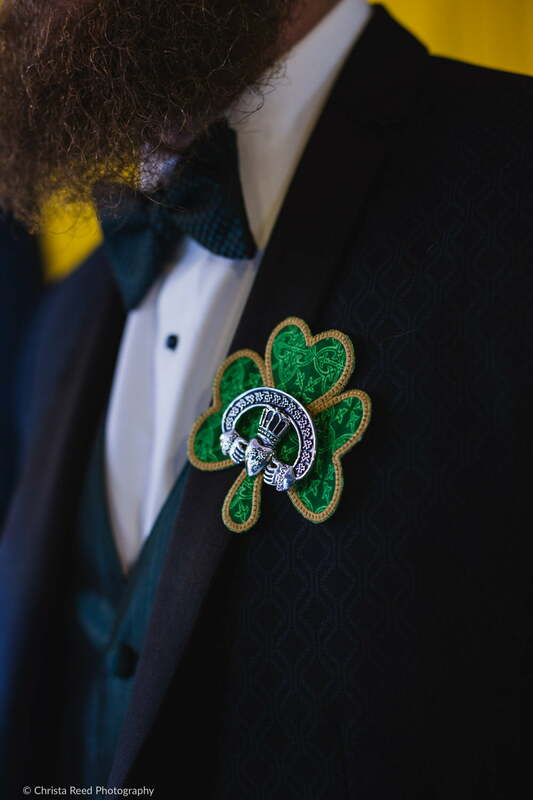 They included plentiful shamrocks, claddaughs, and green for this Irish wedding. 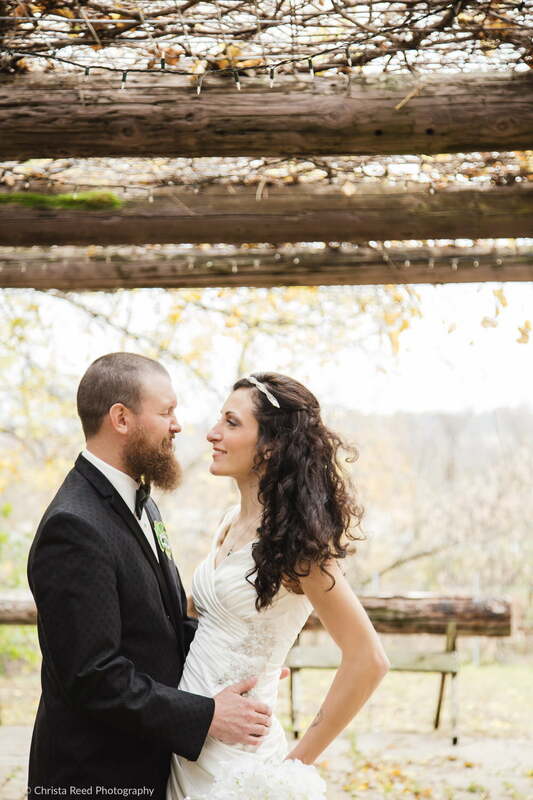 The weeks leading up to their wedding had been rainy, but that day the weather gifted us with perfect soft light. 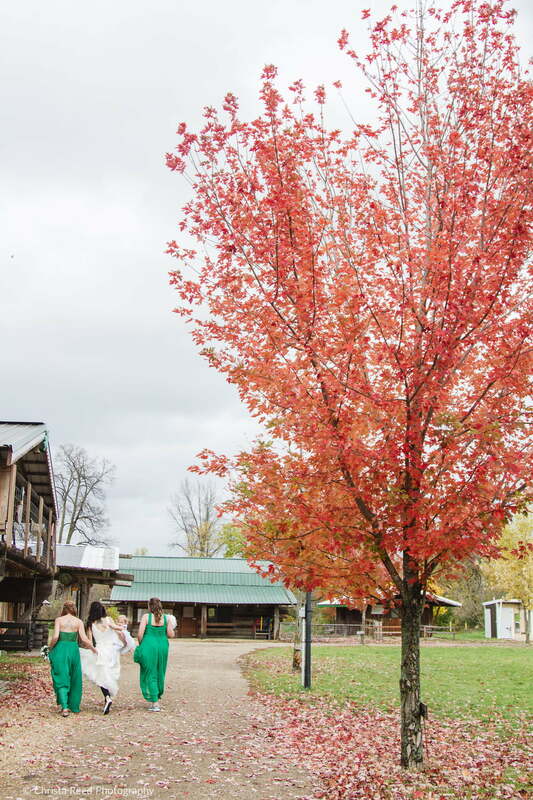 The colors in the landscape were brilliant from all the rain. 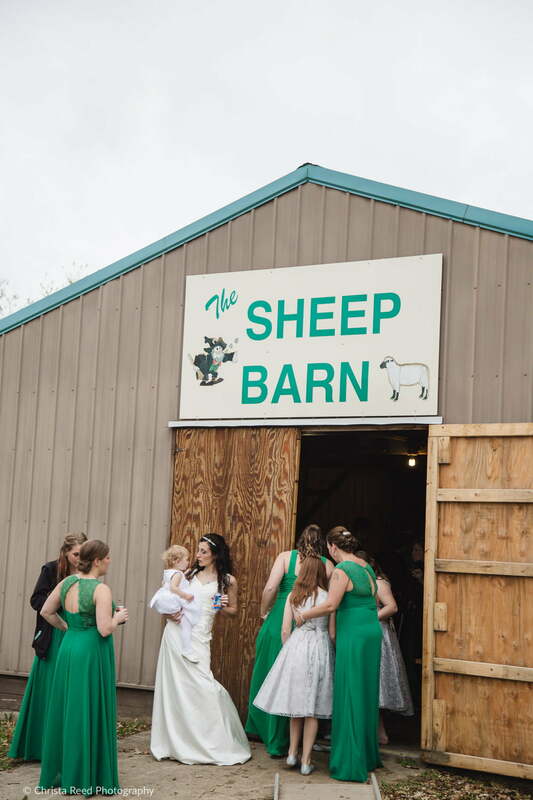 This wedding is one of my favorite small weddings from the year. 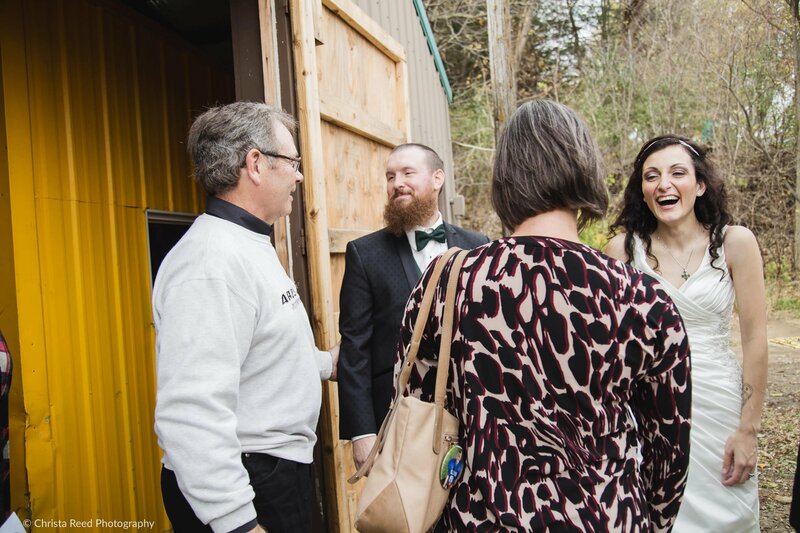 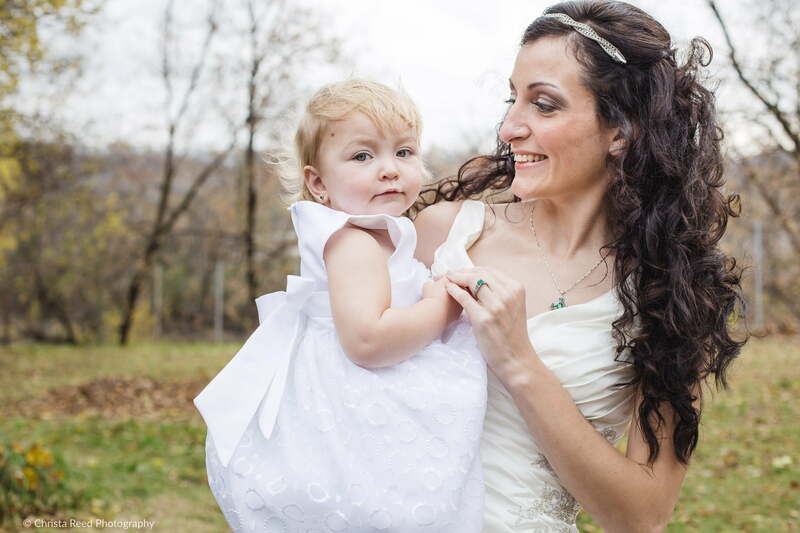 We had the opportunity to really have fun with portraits, and capture lots of candid shots with guests. 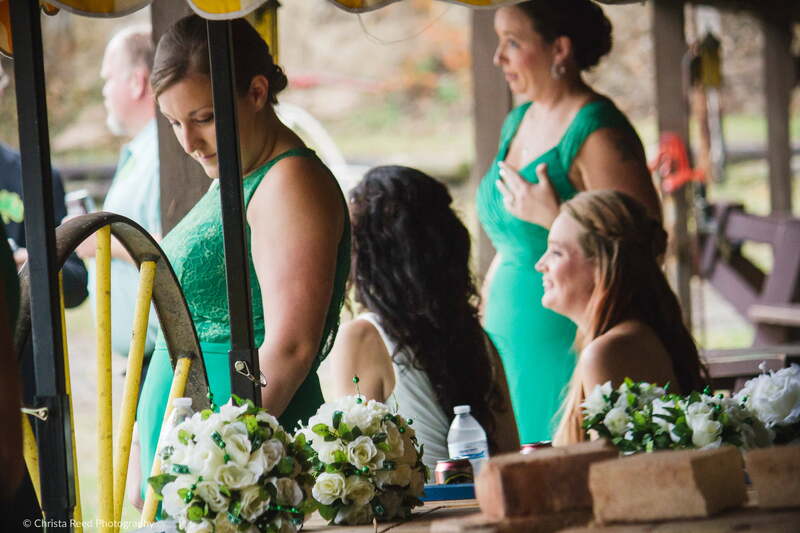 I love when I am able to take the time to mingle with guests and concentrate on capturing interactions. 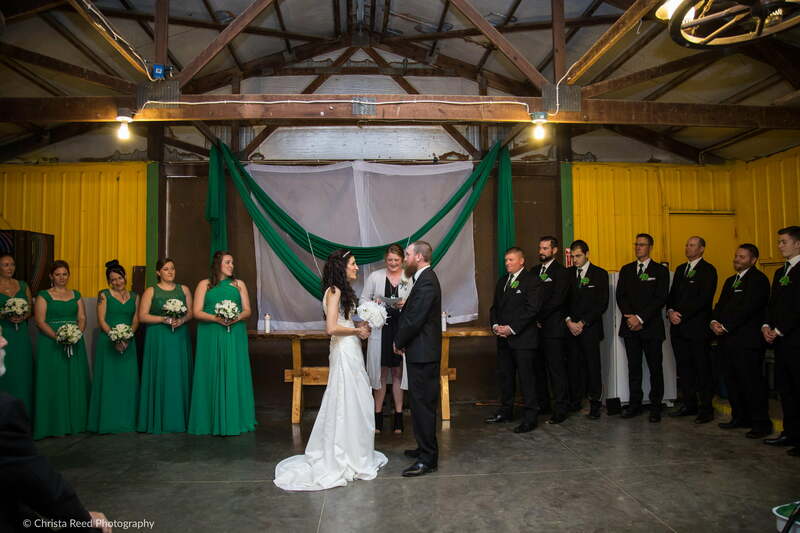 Then the couple has a record of not only their wedding party, but all of the important people who celebrated their marriage with them. 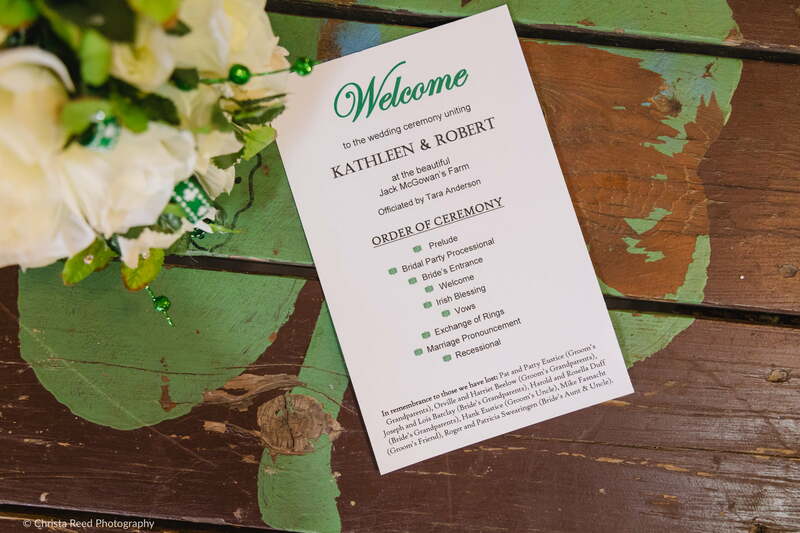 I also really enjoyed that Robert and Katy’s kids were included in their wedding. 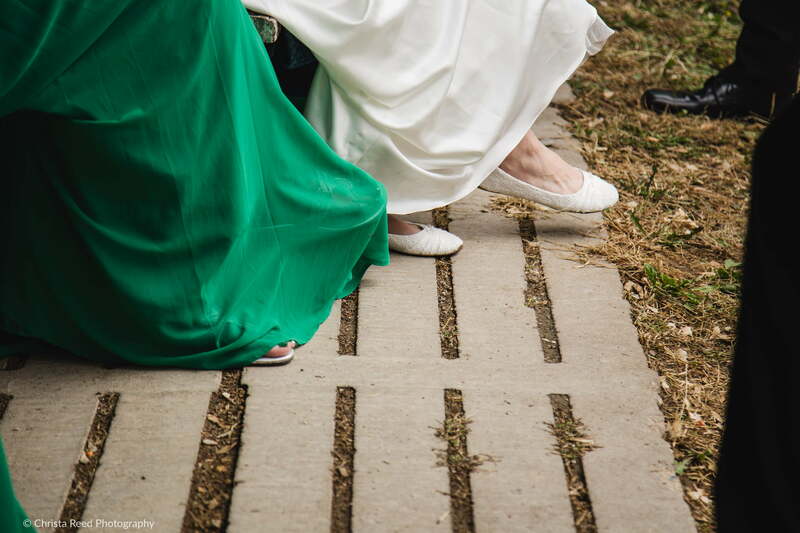 This year I’ve seen many couples doing this. 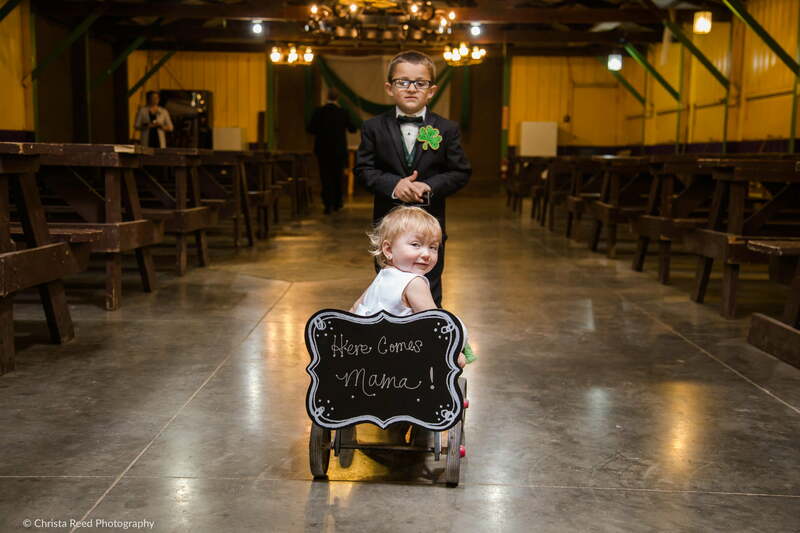 It’s fun to think about how the kids will be able to look back on these photos and have an experience from the wedding memories as older children. 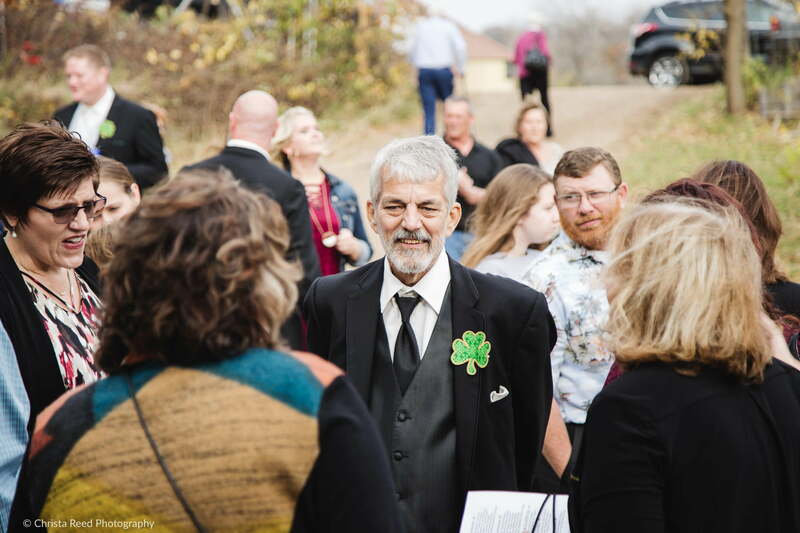 I’m very thankful I connected with Robert and Katy. 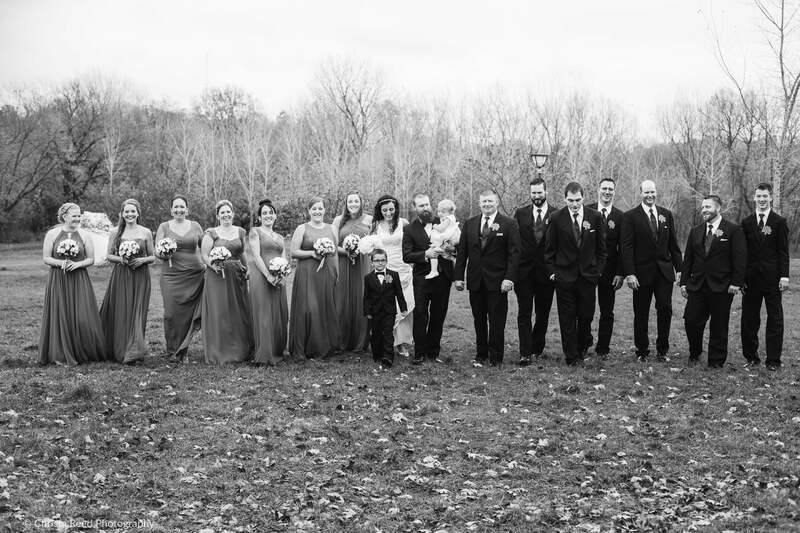 I really enjoyed getting to know them and work with their families.